When I saw that the Cranberry Crackle Tart is due already as the second recipe from the new book for Tuesdays with Dorie I was a bit afraid, because it looks wonderful on the picture but also a bit difficult. I have to say: I was wrong. It is not half as tricky as I thought! I made the tart with the Galette Dough and I have to say I adore this dough! It is the first tart dough I really manage. I have no idea why I never got used to tart doughs in the last five years of baking. It always kept me from doing a lot of tarts and pies although I really like them. But this dough is - for me - extremely easy to handle. I am sure I will use it from now on whenever possible! 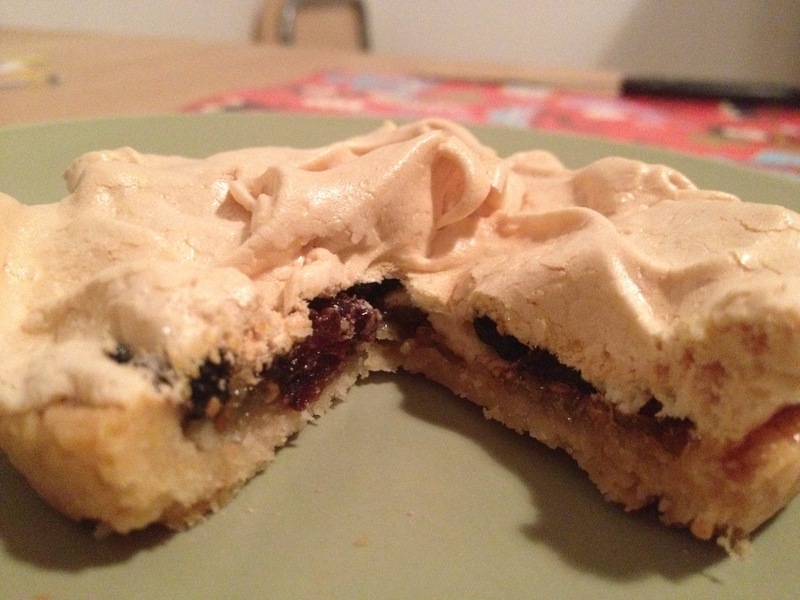 The filling is a mix of merengue an cranberries. As fresh cranberries are rarely seen in Austria I had to use (soft) dried ones but I guess they come very close to the original. Maybe it is even a bit of an advantage as I think they are a somewhat lighter in weight than fresh ones - so they do not weigh so heavy on the fragile merengue. I did bake the tart too long, so the filling got too dense. It didn't harm the taste of the tart - which was great! - but the looks. During baking I was so afraid the filling would not be firm enough, and you have no chance to try it like with cakes. So I let the tart in the oven for about 15mins longer. The result: the filling got a bit firm, shrunk and I ended up with a much flatter tart than the original. 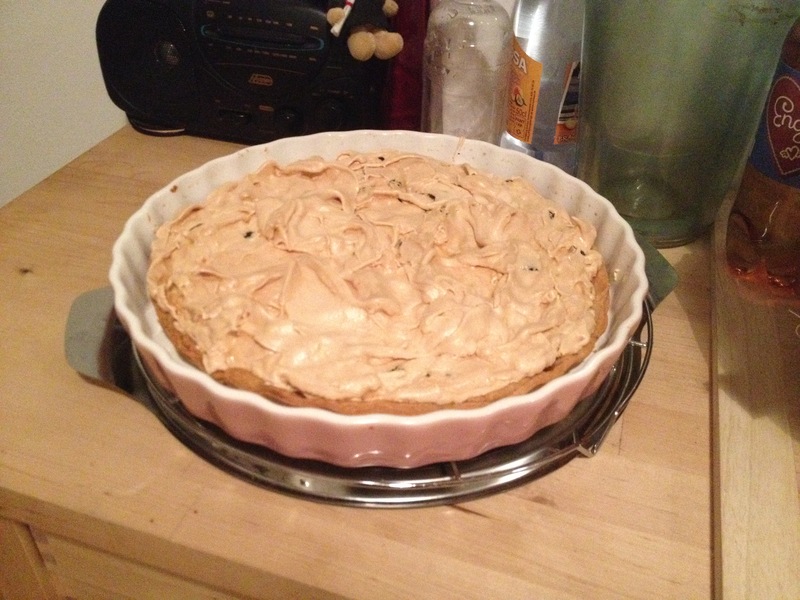 Have a look what the tart actually should look like, and buy the book by Dorie Greenspan, to find out about the recipe! I used the galette dough as well and loved it - very easy to make and work with. I think your tart looks wonderful - lovely and toasty! I think your tart looks great. My first attempt had black meringue tips. I just read that they're trying to export more cranberries from the US since we have a surplus so maybe you'll see some soon. I may have liked this better with dried ones though, based on the looks of yours it seems to have worked out great. I like your philosophy! Very nice tart! It looks very nice and I think you might have gotten a little extra caramel-type flavor with a little extra baking, so that sounds delicious as well. One thing I have learned from Dorie's recipes all these years is that if you just take it one step at a time, it all comes together much easier and wonderfully delicious in the end. You did a great job! I certainly agree with you on the galette dough--it's a dream to work with. And I admire you for coping with the lack of cranberries: Dorie seems to love dried fruit so I bet she'd be delighted with your tart! Exactly - what you don't know, won't.... I'm sure your tart was as good as it looks! I'm looking forward to trying the galette dough with this some time. Everyone who used it was really pleased. I love Dorie's sweet tart dough, though, too. Your tart looks beautiful and I'm glad it was a success with everyone!